The Phoenix Data Commander Size 3 Key offers totally unparalleled protection for computer media and is suitable for use in commercial business premises for large volume storage. 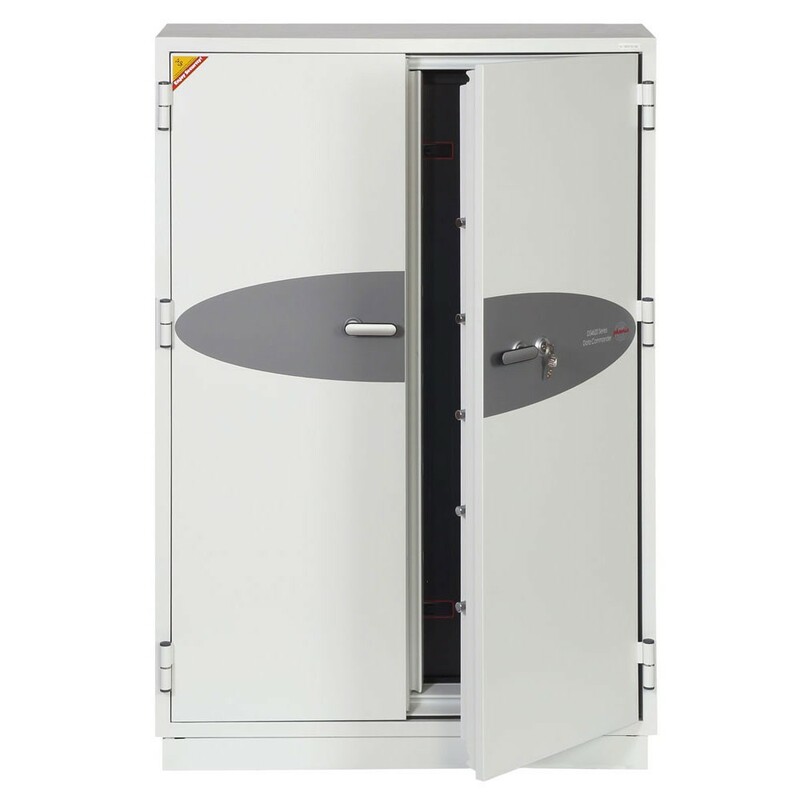 The safe conforms to the Swedish NT Fire 017 - 120dis test offering 120 minutes fire protection of data storage tapes and CD's along with a 9.15 meters drop test simulating falling through a building floor. Furthermore, it offers protection to contents against water due to the twin water resistant seals fitted around its edge. The Phoenix Data Commander Size 3 Key has a high security keylock and supplied with 2 keys. 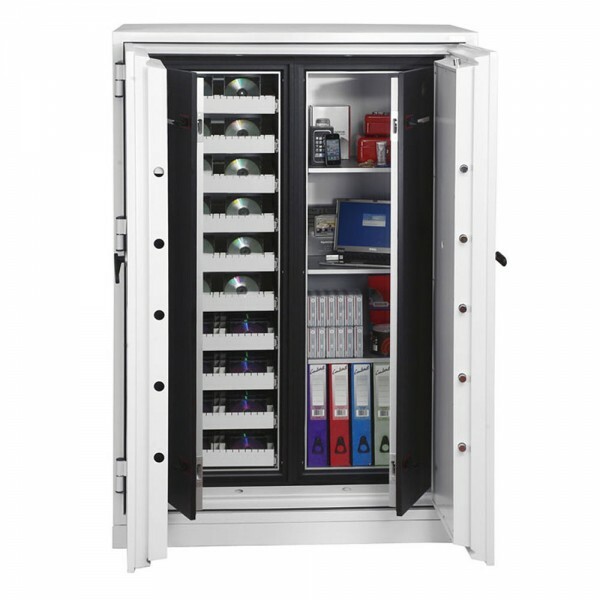 It is also fitted with automatic slam shut locking and supplied with 3 height adjustable shelves and 10 pull out media trays.